All Inclusive Golf Offers - 2017/18 Booking Now! With the pound being so weak many UK-based golf travellers are looking for ways to cap their spend on a European golf holiday. For our overseas customers the weakness of the pound is a great opportunity for them to benefit from extra value when booking their golf breaks. The 5 star Barcelo Montecastillo Resort offers Half Board and All Inclusive upgrade options on all bookings at the resort (supplements apply). All Inclusive and the ultimate All Inclusive Premium (includes Golf View Rooms, Buggies and Club Hire) options are a great way to enjoy the very best of this luxury Spanish golf resort. Another luxury 5 star resort offering great value Stay & Play packages with Food & Beverage included is the Precise Resort El Rompido in the Costa de la Luz. 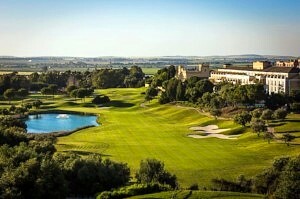 Our best-selling resort for over 10 years, El Rompido is a favourite with Golf de la Luz clients for good reason. 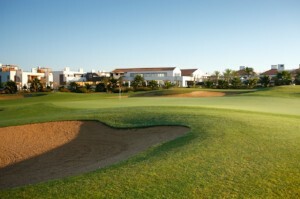 The 2 on-site championship golf courses and excellent hotel are yours to discover! Contact Golf de la Luz for your quotation now! The fabulous luxury 4 star Robinson Club Quinta da Ria Hotel is offering 3, 4 and 5 night All Inclusive winter deals with daily golf at the on-site Quinta da Ria and Cima courses from only £400pp. 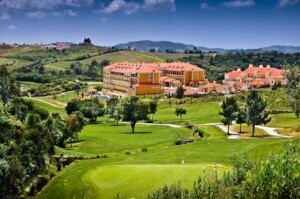 The 5 star Dolce Campo Real Hotel just north of Lisbon offers a range of great hotel and apartment-based Stay & Play deals with options to play 5 different golf courses during your stay - including the new West Cliffs course at Praia d'el Rey. The Gloria Resort offers 3 luxury 5 star hotels with 45 holes of golf available over the 3 on-site courses - Old, New & Verde. Lowest rates are available at the Gloria Verde Resort, thru the Gloria Golf Hotel to the true luxury of the Gloria Serenity Resort Hotel. 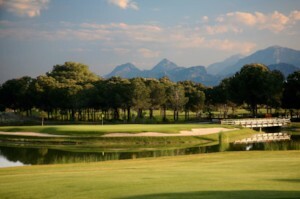 Contact us for an All Inclusive golf holiday quotation in Turkey now - there has never been a better time to book! Offering fantastic prices for All Inclusive Stay & Play packages with golf at the adjacent Antalya GC PGA Sultan & Pasha courses, the 5 star Sirene Belek Hotel is a welcoming, comfortable venue for your Turkey golf holiday.